FRED W. L. KERR, M.D. ; HENRY G. SCHWARTZ, M.D. ; WILLIAM B. SEAMAN, M.D. THE USE of radioactive isotopes in the treatment of neoplasms has proved to be of considerable value. 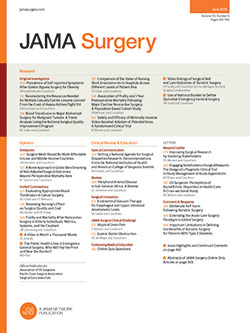 It is as yet too early to know whether cures can be obtained, but encouraging results have been reported in carcinoma of the prostate,* carcinoma of the cervix,† and malignant pleural and peritoneal effusions.‡ Neoplasms of the central nervous system have been treated by means of pledgets of absorbable gelatin sponge (Gelfoam) impregnated with radioactive gold applied to the tumor bed after surgical removal.9 Recently, Lewis10 has briefly reported his experience with injection of gold into the subarachnoid space in one patient in a terminal state following recurrence of a glioma.